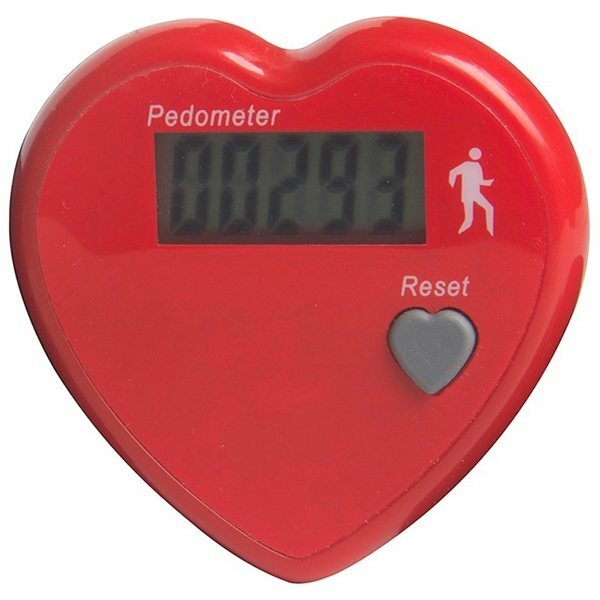 Improve your heart health with this heart pedometer. Count your daily steps with this handy pedometer. Counts of to 99,999 steps. I just love the product! These came as imagined - I was completely satisfied. We've had great feedback from it. There where no surprises with this particular item. sold these at my work to raise money and they were a big hit. Great Price, and customer service is awesome,, Colors were great, and how quickly you processed our order was remarkable! !